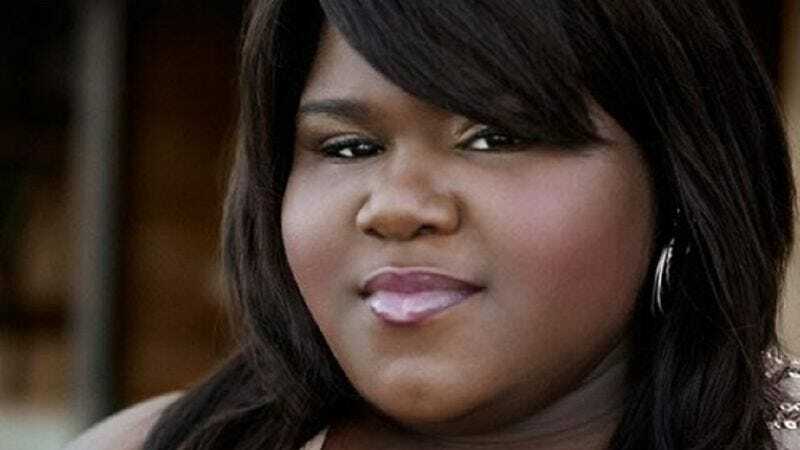 Gabourey Sidibe, lately of American Horror Story: Coven, has signed on to play a recurring role in Empire, Fox’s upcoming “hip-hop family drama.” Empire is the latest brainchild of Lee Daniels—who has directed super-important movies about history and stuff—and Danny Strong, who is just a couple of screenwriting Oscars away from getting people to stop calling him “Jonathan from Buffy” whenever they pass him on the street. This will be the first time Daniels and Sidibe have worked together since he directed her in Precious: Based On The Novel ‘Push’ By Sapphire back in 2009. As previously reported, Empire will star Terrence Howard as Lucious Lyon, a burgeoning hip-hop mogul, and Taraji P. Henson as Cookie Lyon, Lucious’ ex-wife. There being no more cool names left, Sidibe will simply play “Becky,” Lucious’ hard-working assistant. Fox has also recruited Timothy “Timbaland” Mosley to produce music for the show, which will feature performances of both existing and original tunes, sort of like a hip-hop version of Nashville.